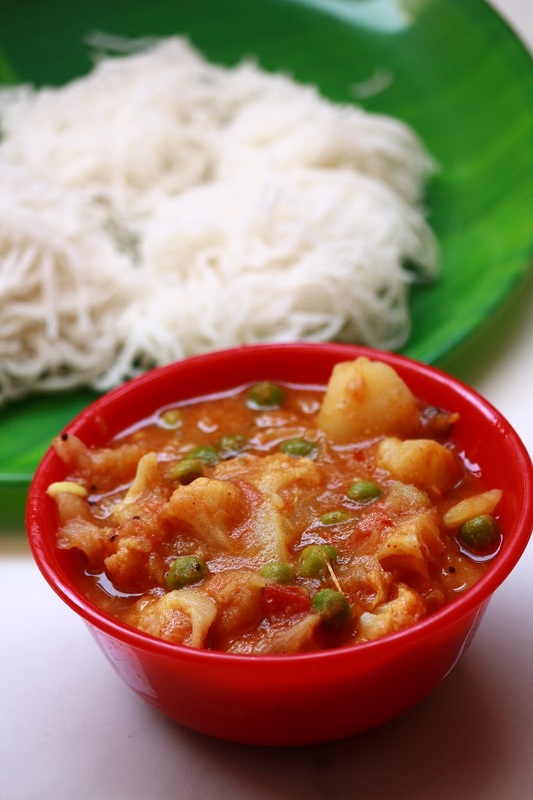 Today, I am sharing a kurma recipe which can be served as a side dish for idiyappam. Idiyappam as I told you before is a very popular South Indian breakfast item. 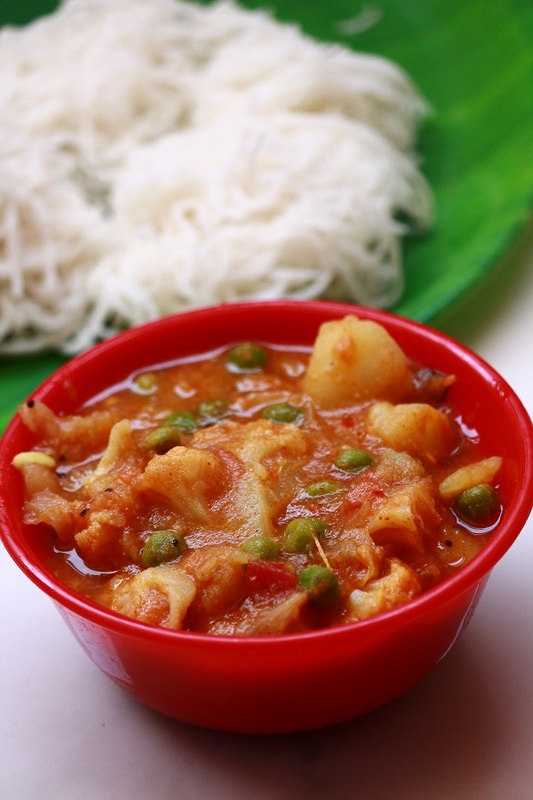 Though it is served with egg curry , chicken curry and so on, but vegetarians can definitely try this kurma recipe..
1. In a pan, heat oil, saute cinnamon, cloves and cardamom for a few seconds. Then add chopped onion, and curry leaves, saute for some more time, till onion turns slightly brownish in color. Now add ginger to this and saute till the raw smell goes off. 2. Next, add the dry powders, red chilly powder, turmeric powder, coriander powder . Saute it well so that the raw smell goes off. 3. Add chopped tomatoes to this and saute till tomatoes turn mushy. Add salt at this stage. 6. Once the vegetables are cooked well, add the ground mixture and curd, mix it well. 8. Let it boil for some time. If you find that gravy is too thick, add little milk or water to adjust the consistency.